Computer Keyboard With Question Mark Key Symbol PowerPoint Templates And PowerPoint Themes 1012-"Microsoft Powerpoint Templates and Background with computer keyboard question mark" -Computer Keyboard With Question Mark Key Symbol PowerPoint Templates And PowerPoint Themes 1012-This PowerPoint template can be used for presentations relating to-"Computer keyboard question mark, technology, business, computer, signs, marketing" Acquire a flourish with our Computer Keyboard With Question Mark Key Symbol PowerPoint Templates And PowerPoint Themes 1012. Your thoughts will begin to flower. 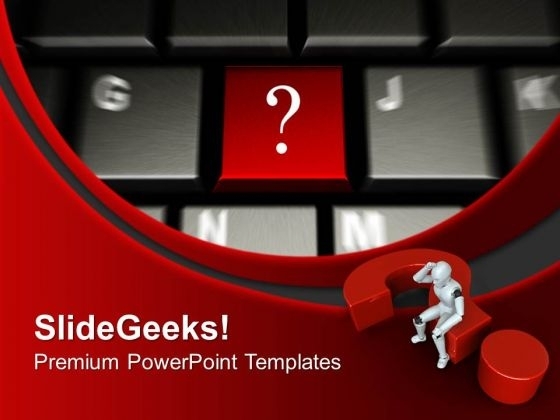 Behold the festival of our Computer Keyboard With Question Mark Key Symbol PowerPoint Templates And PowerPoint Themes 1012. They will put on a series of great shows.